Speed, power, performance . . . buckle up and race with the most famous toy vehicles on the planet—Hot Wheels! Be part of a dynamic race team working together to build and test the world’s fastest (and safest) speed machines, using Hot Wheels® diecast cars to experiment and play. This behind-the-scenes look at the thrilling world of racing investigates the scientific process for designing super-fast cars. 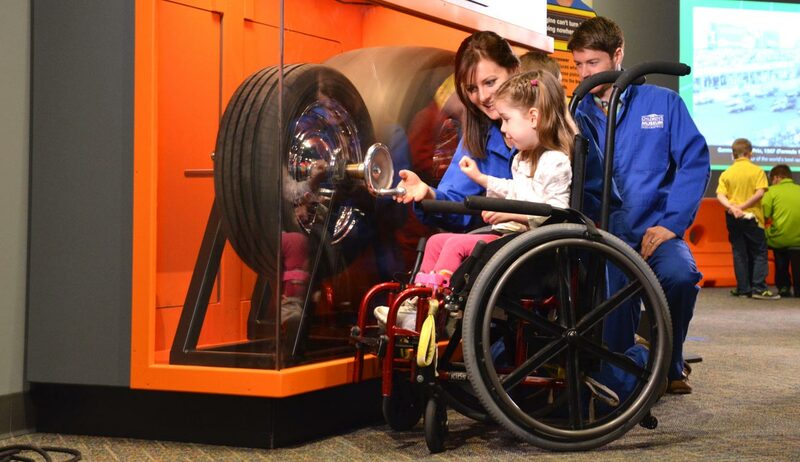 Hands-on experiences, authentic race gear, and captivating memorabilia will engage families in the process of experimenting with speed, power, and performance using Hot Wheels cars and track as the their tools. Kids and families will explore each area of the exhibit! What makes one car faster than another? Getting ready to race means choosing the right body and tires designed to maximize your speed. Here in the Blue Zone, find out how race teams adjust their cars to give them the edge to win. What makes a car GO? Every car needs an engine to get off the starting line. Here in the Yellow Zone, find out how engines use fuel to spin the wheels and burn up the track! When it comes right down to it, it’s all about the speed! On race day, every team is focused on crossing the finish line first. Here in the Green Zone, see what happens on race day as drivers and their teams pour on the speed to WIN. Racing is a dangerous sport. Winning the race is the goal—but sometimes crashes happen. The safety of the driver is always everyone’s top priority. Here in the Red Zone, learn about the technology that keeps drivers, crews, and fans SAFE at a race! For this exhibition, we are asking and requiring all visitors to park strollers in designated stroller parking areas throughout The Museum. Thank you. 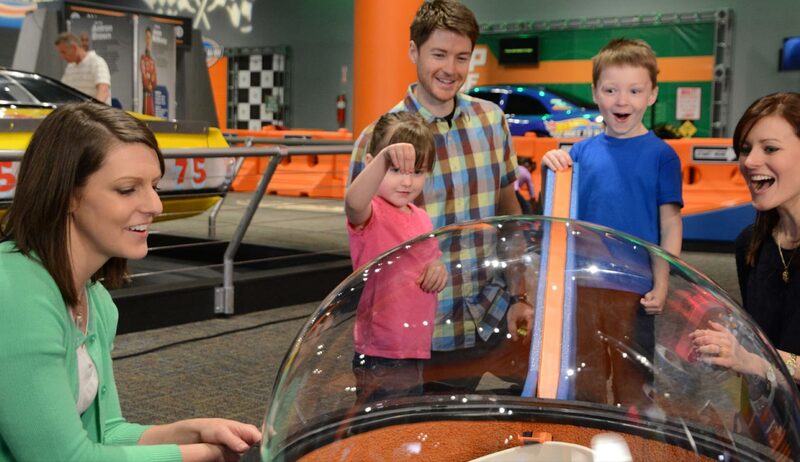 Hot Wheels™: Race to Win™ is produced by The Children’s Museum of Indianapolis and Mattel, Inc. Interested in having a Race Car theme birthday party for your child? Click here for more information.